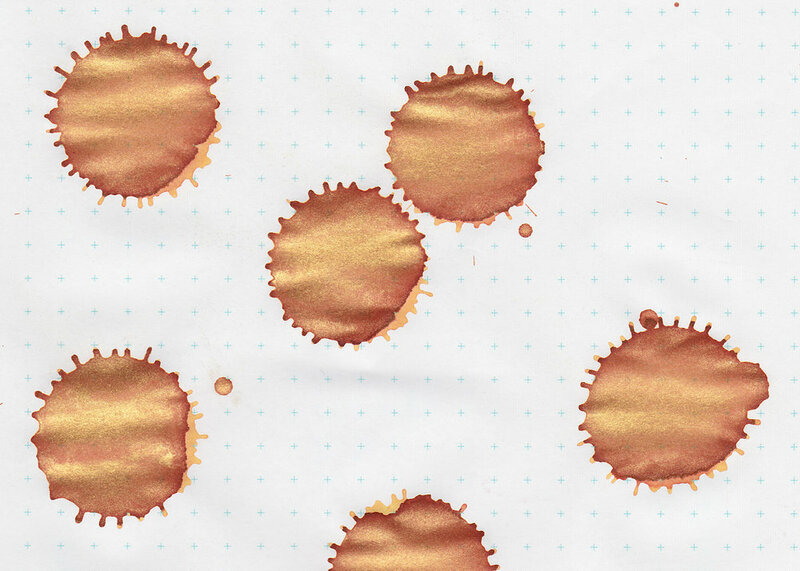 Today's ink is Diamine Caramel Sparkle, from the 2016 Diamine Shimmertastic collection. I purchased my sample of ink from Vanness Pens. Caramel Sparkle is an orange-brown with gold shimmer. I think the gold shimmer goes really well with this ink color. It surprised me how much I liked it. 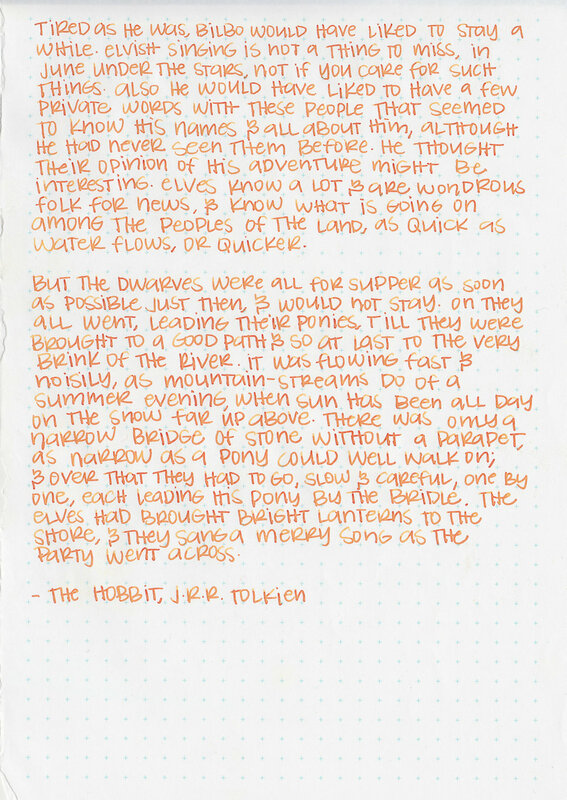 For this review, I used 4 Lamy Al-star/Safari's and a Waterman's Ideal 52 1/2 flex nib. On 32 pound copy paper, the ink did really well, just a little bit of bleeding in the flex nib. Ink swabs for comparison, left to right (top to bottom for mobile RSS): J. Herbin 1670 Caroube de Chypre, Diamine Caramel Sparkle, and Diamine Cocoa Shimmer. Click here to see the Diamine inks together. Diamine Ancient Copper, Diamine Autumn Oak, and Diamine Golden Brown. Click here to see the brown inks together. I think Autumn Oak might be the closest non-shimmer ink. It's a bit more orange, but it's the closest swab I have. I used an extra-fine Lamy Al-Star on Tomoe River paper. I didn't have any flow issues. It had an average flow. Overall, I love this ink, which really surprised me. I think it's just the way the color looks with the gold shimmer in the flex nib. It shows average behavior, I just really love the color for fall-it's beautiful. I need a full bottle of this one, I know fall is pretty much over, but I need a bottle for next fall-just thinking ahead.